To celebrate the 3rd Year anniversary of Arch Enemy Arts Gallery in Philadelphia (US) I have created this new canvas ‘Ningen’, part of the Imaginary Menagery show. Check some coverage below by clicking on Hi Fructose and Bizarre Beautiful Magazine. 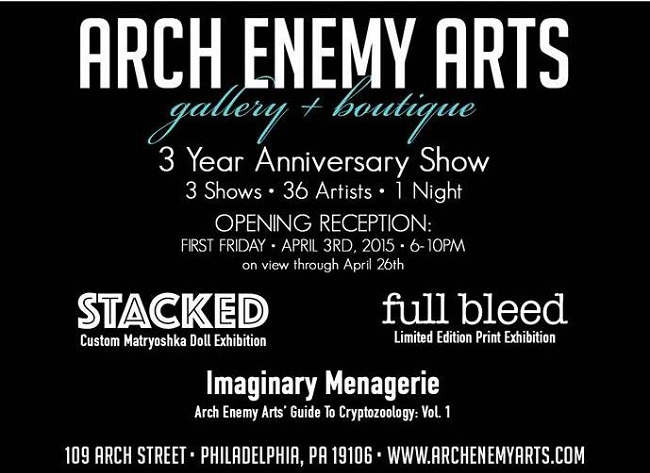 Pour celebrer le 3eme Anniversaire de la galerie Arch Enemy Art a Philadelphie, j’ai cree ce canvas ‘Ningen’ pour leur show ‘Imaginary Menagery. Consultez les articles sur Hi Fructose et Bizarre Beautiful Magazine.